What Makes Sicily a Great Travel Destination? Situated to the Southwest of Italy’s boot, Sicily is an island of many contrasts, deep history, and emotional depth. Sicily isn’t just a quaint Mediterranean travel destination, it’s cultural impact, thanks to the mass migration of Sicilians in the latter half of the 1800s and early 1900s, profoundly impacted and culturally enriches such far-flung countries as The United States, Australia, and Argentina, among many others. While this short article can’t possibly do justice to such a rich, mysterious, and ever interesting place as Sicily, we have endeavoured to bring you the high points any interested traveler should consider when thinking of Sicily as a travel destination. Sicily, just like most other areas with coastal regions that touch the Mediterranean, isn’t exactly new territory. 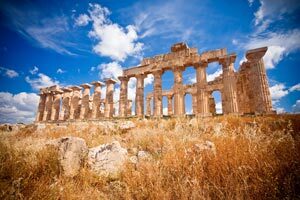 Greeks have colonized most areas of the Mediterranean in ancient times and Sicily was no exception. While the earliest signs of human settlement reaches as far back as 8000 BC, Greeks colonized some sections of Sicily around approximately 750 BC. Phoenicians also settled portions of the Sicilian coastline. This dual colonization pattern led to wars between the Greeks and Phoenicians and, later, Phoenicians and Romans which culminated in the Punic Wars. After Rome triumphed by destroying the Phoenician capital of Carthage, a long period of peace prevailed in Sicily. After Rome fell, Sicily was snatched and grabbed across a long succession of invaders, interlopers, and settlers. From Germanic barbarians to Byzantines to Arabs to Normans. Sicily achieved some measure of stability finally in 1130 when it was organized as the Kingdom of Sicily. The Sicilian kingdom was a vassal state to Spain and the Holy Roman Empire before finally being linked with the Kingdom of Naples. Sicily was incorporated into the new Italian nation by Garibaldi during the Italian Reunification in 1860. Today, Sicily is a recognized autonomous region. Considering the tumultuous history of Sicily, you can bet that this had a profound impact on this island state’s culture. The massive influx and succession of different cultures, different religions, and different languages left their mark on Sicilian culture. 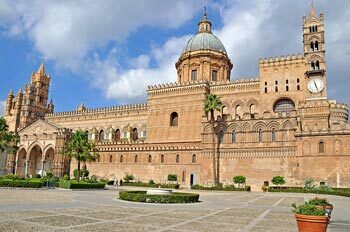 There are still Greek and Roman structures in Sicily as well as a former Muslim mosque converted into a cathedral. There are still pockets of ethnic language groups that date back from Sicily’s tumultuous history. There is a sizable number of Lombards who came to Sicily with Norman invaders who established the Kingdom of Sicily. Their distinct dialect sets them apart from the Italian spoken by the majority of Sicilians. Interestingly enough, Italian speakers only came to Sicily after the Norman invasion. This mass migration from Southern Italy effectively Latinised Sicily. Previously, Sicily was a hodgepodge of Lombard, Norman, Byzantine, and Arab language speakers. There are also distinct ethnic groups who descended from Albanian Catholics who fled Albania for Sicily when Albania was conquered by the Muslim Ottoman Empire. Of course, no discussion on Sicily would be complete without at least a passing note about one of the biggest ways Sicily impacted countries as disparate as Australia, Argentina, and the United States, among others-the Sicilian Emigration. The Sicilian Emigration experience is a subset of a larger Italian Emigration or Italian Diaspora which began around the time of the Unification of Italy in 1860 and only stopped around the rise of Italian Fascism. The head on collision between the Industrialized North of Italy and the rural and agrarian south led to the trends that caused mass migration. As Italy became integrated with the rest of Europe, and by extension the rest of the world, in 1860 there was a strong pull exerted by industrializing countries and their need for labor. Impoverished Sicilians along with other Italians from southern Italy emigrated to fill the huge labor demand exerted by the US and other countries. Also, one key ‘push’ factor for Sicilian emigration was the huge boom in births due to the introduction of modern health facilities and technology. This demographic boom strained Sicilian resources further and deepened poverty. 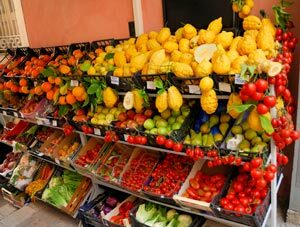 The increasing levels of poverty pushed even more Sicilians out to find greener pastures elsewhere. Everywhere they sent, Sicilian immigrants provided a touch of southern Italian culture to their new home countries. If you are an opera fan, you will be pleased to know that Sicily’s capital city, Palermo, is the home of Italy’s largest opera house. In fact, the Teatro Massimo is the third-largest opera house in all of Europe. Its main claim to fame is its sound acoustics. In fact, according to many opera aficionados, the Teatro Massimo ranks up there in terms of the best opera viewing experience in all of Europe. This is quite a compliment considering the large number of opera houses and music halls in Europe. When it comes to musical talent, Sicily has more than its fair share. A partial list of its famous composers include Alessandro Scarlatti, Giovanni Pacini, Sigismondo d’India, and Vincenzo Bellini. Sicily is well-known in the Mediterranean as a center for ceramic art. In fact, Sicily owes its high degree of ceramic artistry to the cultural legacy of a people that pre-dated Greek and Phoenician colonization: the Sicanians. Building on Sicanian ceramic capabilities, Sicily’s renown in ceramics reached its highest point during the Greek period of its history. To this day, Sicilian ceramics is still prized, highly-esteemed in the Mediterranean region, and stylistically distinct from neighboring cultures. If you would like to experience first hand the awesome beauty of Sicilian ceramics head on over to Caltagirone – the modern center of Sicilian terra-cotta and ceramic production. 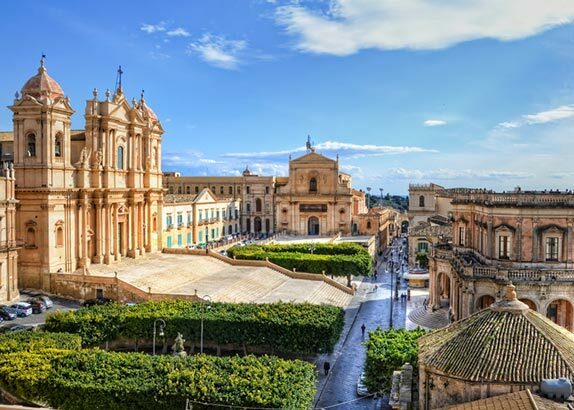 Most of the Baroque architectural structures in Sicily can be found in the following locations: Acireale, Modica, Ragusa, Catania, Caltagirone, and Noto. Interestingly enough, lots of the buildings have a reddish hue. This is due to the local Sicilian red sandstone used for their construction. 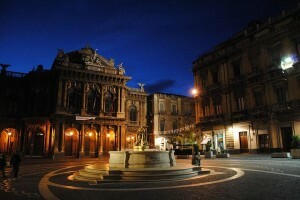 Noto, in particular, has some of the most dramatic and distinctive Baroque buildings in Italy. While Sicilian Baroque was originally a copy of Baroque elements found in Naples, Florence, and Rome, a distinctly Sicilian Baroque sensibility eventually took hold for many of the aristocratic palazzipalazzi and churches that were erected in this style. This distinctly Sicilian look incorporates many previous distinctly Sicilian styles. By the mid-1700s, Sicilian Baroque buildings came of their own and stepped out of the shadow of Mainland Italian influence. One of the biggest names in surrealism in the 20th century, Giorgio de Chirico, was a Sicilian. Although he was born in Greece, de Chirico put Sicily on the modern art world’s map with this distinct and often disturbing surrealistic masterpieces which bent reality, challenged perception, and confounded interpretation. De Chirico was also the founder and prime mover of the European art movement: metaphysicalism. Sicily has a rich history of art, much like the rest of Italy, so if you are an art fan you will not be disappointed by a visit. If you are looking to visit a culturally rich island that is steeped in wonderfully rich history, you won’t find much better than Italy’s Sicily. As a holiday destination it has so much to offer and it will quickly become one of your favourite places in Europe. Have you been to Sicily? Let us know what you thought of the island, and any tips you would suggest for visiting. 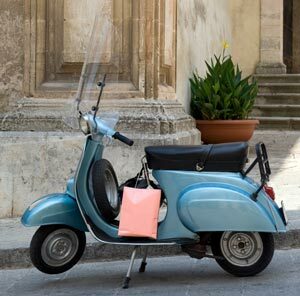 We created this site from a love of Italy and all things Italian. 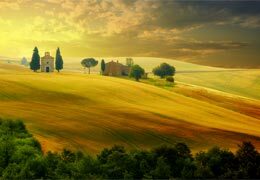 Our aim is to highlight some of the wonderful things Italy has to offer, from mouth-watering food to breathtaking views. 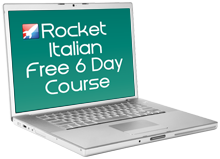 If you are visiting Italy you will find our guides a helpful aid to getting the most out of your time there. Enjoy the country, its culture and rich history. Enjoy Italy!